“Does anybody need a doctor?” yelled the energetic musical director Sarah Morrow just before Mac Rebennack - Dr John - appeared from the shadows for the first of five sold-out shows at Ronnie Scott’s. Shuffling with two ornate walking sticks to a skull-topped piano, the 74-year-old cut an imposing figure in a feather-laden hat and dark glasses, and his hair - scraped into a ponytail tightly-rolled with coloured fabric - trailed halfway down the back of a rather incongruous pinstripe suit. 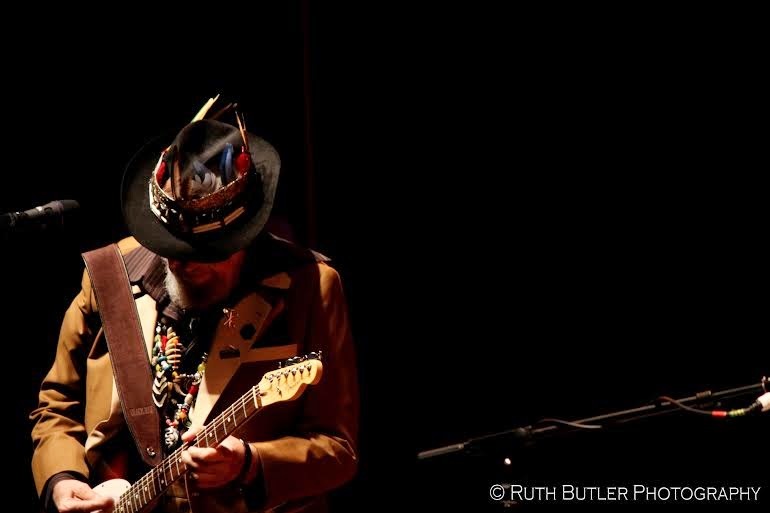 The last time that Dr John came to London, he played to 1900 people at the Barbican and focused on his most recent album, “Ske-Dat-De-Dat: The Spirit of Satch”. Here, for an audience of 200, the selections were more varied, but in the allotted 75 minutes he could only scratch the surface of a vast back catalogue. Dr John’s distinctive, rasping New Orleans drawl came to the fore on Big Shot, where it was matched by Morrow’s assertive trombone (jazz trivia: Morrow was - in 1995 - the first female instrumentalist ever to join Ray Charles’ orchestra). The rhythm section of Herlin Riley - perhaps best known as a cohort of Wynton Marsalis - and bass guitarist Donald Ramsey - formerly seen with another trumpeter from the Crescent City, Terence Blanchard - were in the spotlight early on, while the leader accompanied them on percussion. The celebrated Hammond organist Rhoda Scott – the oldest member of the quintet and looking fantastic - was inaudible through many of the ensemble passages, yet her sound burst out on Right Place, Wrong Time. She was also prominent on Earl King’s Mama & Papa which was led by Dr John’s twangy electric guitar. The leader didn’t completely eschew his latest CD celebrating Louis Armstrong, and eventually played a couple of pieces associated with Louisiana’s most famous musical son. What a Wonderful World was taken faster than usual with a backbeat (how do you handle such a familiar classic?). After Charles Brown’s ballad Tell Me You’ll Wait for Me came the sentimental That’s My Home, which was originally recorded by Armstrong in the early ‘30s. Lead Belly’s Goodnight, Irene was given a rollicking treatment and contained some of the best piano work of the evening. At this point, a few people – sensing the end of the show – got up and danced. It was followed by more lovely barrelhouse-style pianism during the concluding Such a Night, which was topped off with a quotation from “Rhapsody in Blue”. There was a small standing ovation as Dr John made his short trip off the bandstand into the dark. No-one really expected an encore, and we didn’t get one. The performance was highly formulaic, certainly, but it was very well played and a great deal of fun. Mention must also be made of the first-rate British band that preceded Dr John on-stage. Fronted by guitarist Al Cherry, pianist Tom Cawley, bassist Sam Burgess and drummer Ian Thomas delivered an excellent set that included This I Dig of You by Hank Mobley, and culminated with Stevie Wonder’s magnificently emotive Boogie on Reggae Woman.